Like our food? Have a suggestion? Feel free to leave your feedback or compliments here. Have now tried the entire dinner menu and everything is delicious. Looking forward to making it in for some breakfast soon. Love this new eatery! The decor is pleasing and the fresh food on the menu is amazing. I tried the Mexican Beef Wrap and it was delicious. Just the right amount of artful and mouthwatering spices used made this my new favorite. The staff is knowledgeable and very courteous. I will definitely be a return customer and will highly recommend this restaurant to all my friends. Kudos to Jen, Sonny, Dev and Mona. I'm about halfway through the menu and I've yet to find anything that I don't like. Some great international flavours, with just the right amount of spice. There is no other restaurant in the area that can compare. We found out about this new restaurant at the Saugeen Shores Chamber of Commerce, and decided to give it a try. Where were you all our lives? We had the Cuban Pulled Pork Wrap, the Thai Green Coconut Curry, and the West African Peanut Stew, and all of us were more than impressed! We dine out in Toronto quite a bit, usually visiting ethnic restaurants for authentic taste, and we agreed that every dish could hold its own and then some in comparison to the establishments in Toronto. And the very reasonable prices and generous portions were a really pleasant surprise. Served by the pleasant staff after just a short wait - even though almost all the tables were occupied - it was one of the best dining experiences for us. We look forward to returning many more times to taste all the exciting dishes. Congratulations to all the staff. 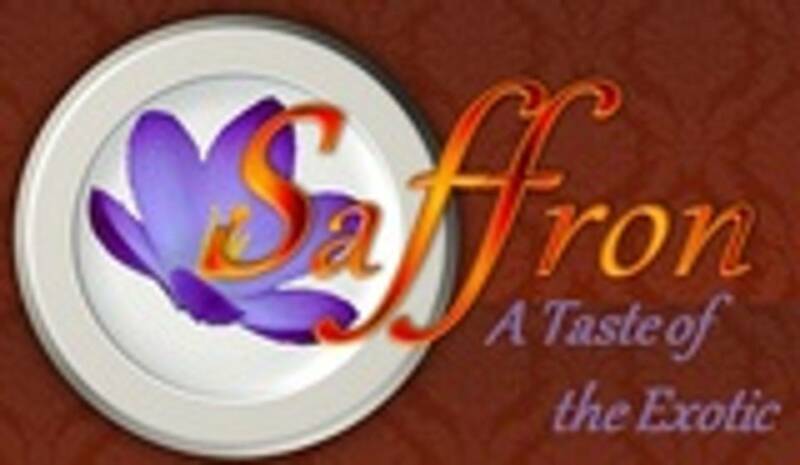 The delicious food at Saffron being lovingly prepared by Dev and Sunny, and lovingly served by Jenn and Mona is absolutely scrumptious!!! The entire menu, over time, a must try people. You won't regret it. And I'm not just saying that because I'm Mamasita! Thai green curry is a hit and we had the best butter chicken ever, anywhere...try it out! Congratulations Dev, Sunny & Jenn on bringing flavours of the world to Saugeen Shores! We were fortunate to learn about your recent opening and stopped by to explore. The "West African Peanut Stew" and "Indian Chick Pea Doubles" were amazing! Thanks so much for a fabulous lunch and all the best in your new venture. We will definitely be back to continue our exploration of your menu.